Earlier this year I saw a quote on Pinterest that said, “You’re the daughter of the star breather.” Needless to say I have been obsessed with that thought. This year has presented some of the hardest challenges I’ve faced within myself and the beliefs I’ve adopted as truth. I’ve been in a process of truly renewing my mind and understanding, believing, and owning my identity and who God is. At times I forget the size of my challenges compared to the size of my God. Even in the night God knew there needed to be light; so He breathed and stars were created. I can’t help but think, if in the darkness of space His breath created light, the same breath once created light to invade the darkness of this world. That light is me. That light is you. Last night I dreamt that I was with a friend on a mountain and stars were everywhere. My mind was blown. I had never felt like that before. An overwhelming sense of aww drew no, compelled me to God. Obviously I’m still lost for words because of the beauty of this dream. When I woke up it took me a while to remember the dream but as I did I asked God why stars were so huge to me in this season. He reminded me of the words He spoke thousands of years ago to Abraham. At this time Abraham knew God’s promise to him, but he had not seen the fruit of it yet. As I read these verses God said, you are one of the stars. When God made this promise to Abraham, I imagine that Abraham had no idea his descendants would reach the year 2013 and beyond… But God knew. God keeps His promises. His promises are not small. They are bigger than what we have planned. And they impact the world forever. He is an eternal God, He doesn’t just do things for a moment but He does things for a lifetime. He’s calling us. He’s reminding us to go outside of our circumstance. Acknowledge the darkness around us. But most importantly He’s saying look up. 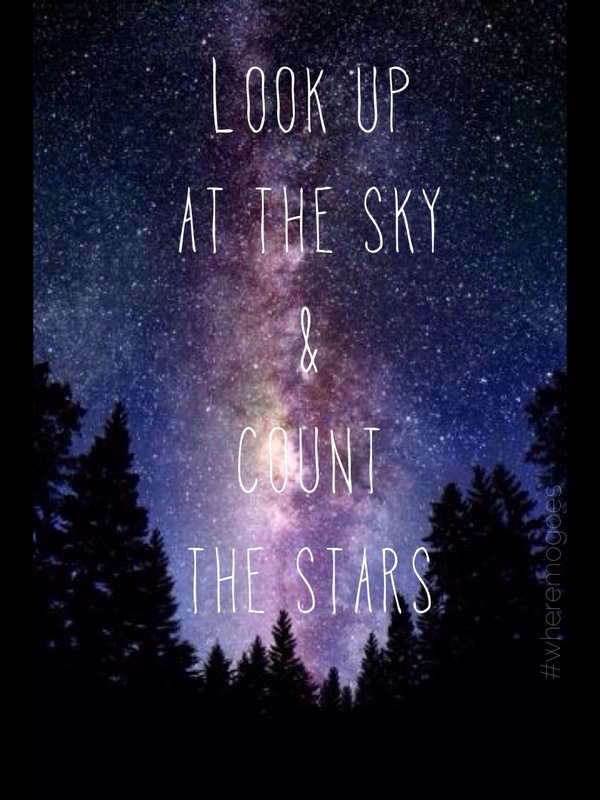 His promises out number the stars, so start counting.